What Can Add Value Do For You? 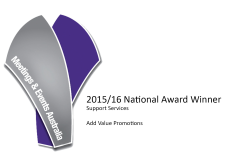 We provide a fast, reliable solution to all of your branded promotional merchandising needs. 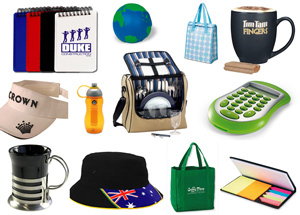 We supply a complete range of branded and promotional products, Australia-wide. Anything with your logo on it - pens, clothing, mugs, bags, lanyards .. the list is endless and we do it all with a smile! We keep on top of latest trends and are continually offering new and unseen product offerings. These are tailored to you and your client base to ‘cut through’ the mass advertising clutter with well targeted promotions. As well as fully customised, original concept promotional options from offshore, Add Value provide a huge range of fast, easy off the shelf items. So why not ask us to advise on your next promotional product selection? We promise you will not be disappointed. We also have a range of other complementary services that also Add Value to our core procurement and logistical capabilities. For example, if and when required, we can provide the convenience and distribution power of warehousing and distribution facilities, right around the country. Add Value offers a complete range of branding and decoration options to customise your product. Visit our Branding Options Guide to learn more. Learn how you can send your logo and graphics to Add Value in our Artwork Guide. 1. We first listen to understand your particular situation and you needs, and then we offer expert advice and ideas about the products that may best suit your needs. 2. We provide the most cost effective quote to achieve maximum return on your promotional product investment. 3. We explore specific product, decoration and production options to maximise the impact of your preferred promotional items. 4. Once you confirm your order, our Production Manager will quickly call you to confirm all aspects of your order with us in detail .. ie, what you are ordering; how many; when you need them; what you want to brand on them etc. 6. Upon your approval, we then proceed to production. We then notify you when your goods are ready for despatch or collection. Delivery generally takes 2 to 4 weeks for non-urgent local orders and more like 8 to 12 for offshore orders. 7. Your promotional products are now ready for distribution and promotion to your target market .. going out to work for you! 8. We generally request payment on a COD basis for all new clients, but after supplying your first order we automatically place your account on a 30 day payment situation, for all future orders with us. For orders over $5,000 we generally request an initial deposit of 50%, to help offset the costs we have to bear upfront.